Below is the December Macworld Cover planned for December 2011 issue. Enough said. Books related to technology and this post may be found in The Imaginative Conservative Bookstore. Essays by Dr. Birzer may be found here. Is the Human Brain Just Like a Computer? 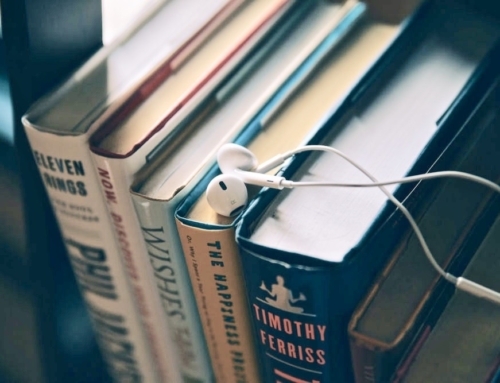 Can Technology Improve How We Read Books? Jobs was a corporate tyrant, not a conservative! Jobs was a human being. Show some respect. De mortuis nil nisi bonum. He wasn't perfect, but neither are you. He ran a good company and invented some excellent products. He and Gates pioneered the invention of the personal computer, the device you are spinelessly using right now to post anonymously. As Dr. Birzer is wont to say, posting anonymously in an online forum, especially this one, shows a dearth of virtue. I would add that it also shows a lack of testosterone. Oh, pish. This is Trent Demarest. My blog handle comes up when I post with my pseudonym, and it's a live link that will take you to my blog. Not hard to find out who I am. Richard, happy to run into you on these here interwebs. I, too, am a schoolteacher. I live and work in Alexandria, VA, where I teach Latin and humanities at a parochial Lutheran school. Really? You men are funny. Jobs personifies entrepreneurship. He was definitely free market to the extreme. Didn't even allow matching charitable contributions. A week after his death, it was instituted at Apple. Go Jobs! Rest in peace. I am sure millions of people will be dissecting his life and decisions for the next year. Mr. Birzer, Why just the photo and no comment? The editors of this blog, Birzer and Elliott, request that commenters do not post anonymously. Why is that funny? I think it's a good rule. Richard, Trent, and Matermax, thanks for the posts. My own thoughts are expressed in the title. The cover captures Jobs perfectly. Pensive, intense, creative, his own man. And, Trent is right–he was a man with all the flaws of a man. He was also a man with gifts that had yet to be seen on this earth. He pursued excellence in every one of his business endeavors. This should be, in my opinion, recognized and praised. Admittedly, I've been a fan since 1984. Anonymous, you're right, he's not a conservative. But, he was the epitome of imaginative. The world is a better and more humane place because of him and his many efforts.